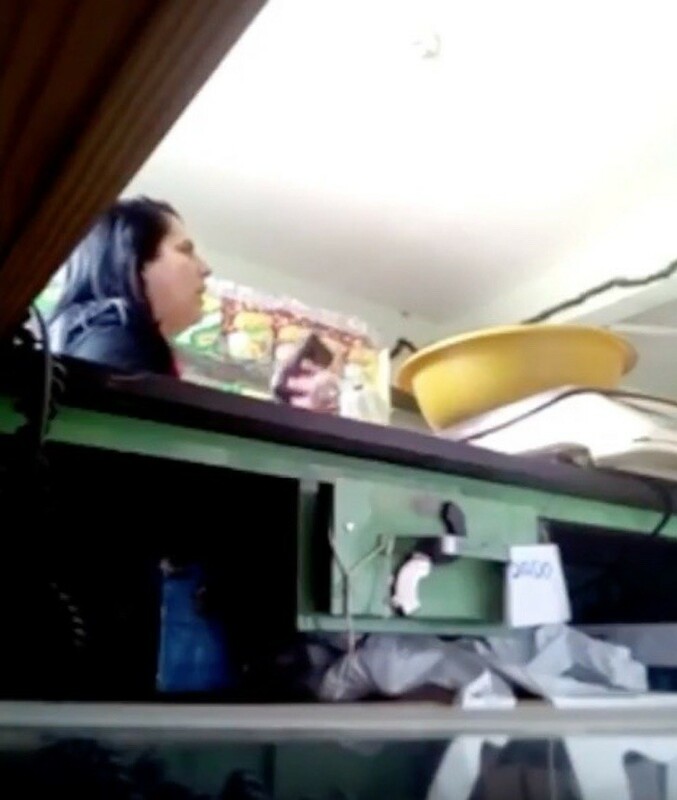 She Was Stealing From The Cash Drawer, Then The Owner Set Up A Mousetrap — Here Is The Moment Of Discovery! Store thefts have definitely diminished – due to the ever-increasing security measures that store owners have adopted – but there are still people who continue to try to steal from unsuspecting shop owners. The technique is always the same! They take advantage of a moment of chaos to put their hands in the cash draweror implement strategies to distract sales assistants or store owners. The woman secretly filmed in the video uses a technique that is very dangerous and risky but simple and effective when it works! In fact, it is she herself who entertains a conversation with the store owner while with her right hand, she is rummaging around in the cash drawer! The store owner must have noticed a steady decrease in the daily cash intake, which eventually convinced him to install a hidden camera – probably a smartphone. The store owner starts the camera when a woman, the alleged thief, enters the store. But, he does not know yet whether or not she is really the one stealing the money, so to find out he decides to film everything. In addition, he decides that in order to make sure that no more of his money is stolen, he substitutes the money with a mousetrap! Consequently, when the woman puts her hand in the cash drawer, she will find a surprise, and it will not be in cash! The woman started talking to the store owner as she extended her arm towards the cash drawer, then she slowly opens the drawer … and fell right into the trap! More than likely, she was totally not expecting it, given the jump she makes right at the moment when the mousetrap snaps and closes on her fingers. Hearing the noise, the store owner has identified the thief and puts an end to the game by approaching the cash drawer. The woman has removed the mousetrap from her hand and with an excuse, she leaves the store. We do not know if the store owner then took the evidence to the police, but we can say that the thief has already got what she deserved!